Those were the words from our PE teacher at the start of the year. I was pooping myself with my lack of swimming ability. My running and cycling were steady enough to put me in the top half of our class triathlon entering the swim. Thank god the decision was made not to do the swim in the open waters. For the next 10 minutes, I bounced on my toes up and down the pool as my friends swam on past me. I lost a bunch of places, embarrassed at still not being able to swim despite the early 6 am training sessions we’d been doing the last couple months. Despite plenty of people willing to help, I just never could swim more than a few metres at a time. I’d then lose my breath and feel exhausted. Ever since then, I’ve more or less avoided swimming in any capacity. 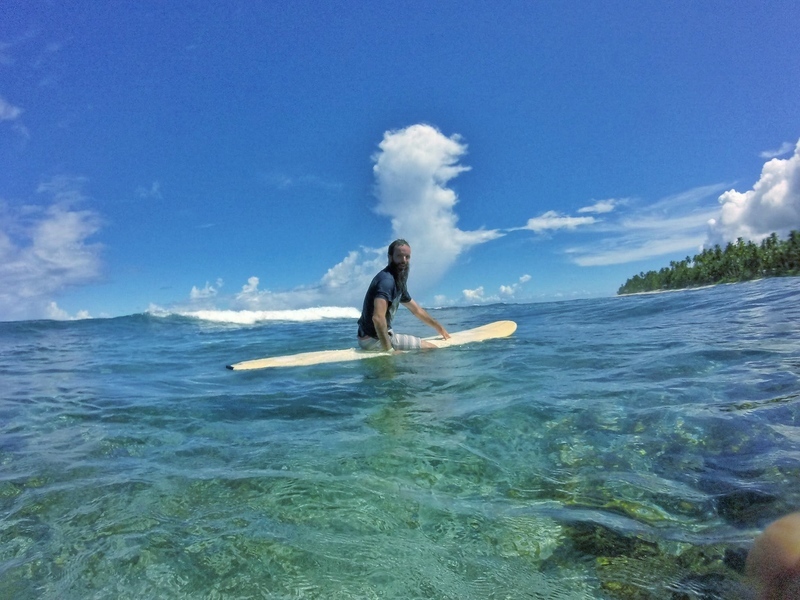 I managed to surf a tiny bit in Siargao, only because I was attached to a floating device (a.k.a. surf board). 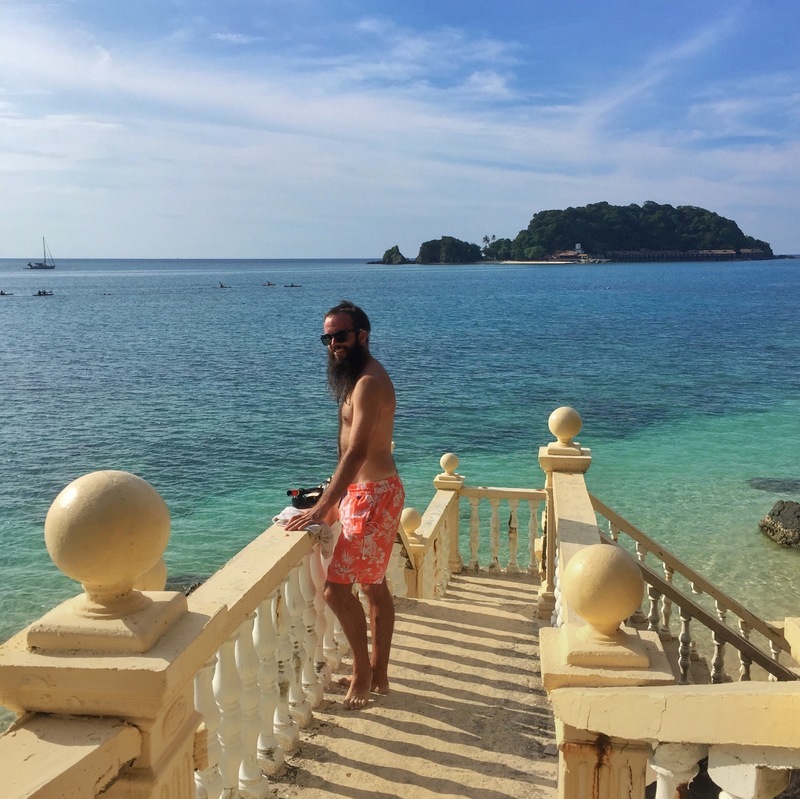 A year ago in Indonesia I discovered flippers, they let me move the fastest I’ve ever moved in the water (still not fast), yet I still avoided opportunities like snorkeling in Sulawesi. If only I could use this motor. All the time! I always had it in the back of my mind I’d learn how to swim as an adult, especially after reading Tim Ferriss managed to learn how to swim. Yet I kept procrastinating, even though I chose a room to rent for a month in Chiang Mai that came with a pool. There was always something easier to do than learning to swim as an adult. That all changed in May 2017 when I decided to try learning how to swim, the total immersion way. I bought the book in Indonesia and figured if I was staying with my friend who lives in Kuala Lumpur and had a pool, that was the time to learn. Alas, I procrastinated on reading the book for a few days. A few weeks later, however, I was proud to say I can swim. I’m definitely not a great swimmer yet, but I can swim a couple laps that resemble a smidgen of grace. Not so much that of a drowning rat. The book is broken down in a somewhat practical way and the best way to sum up the technique is from this part of the Amazon listing: A holistic approach to becoming one with the water and to developing a swimming style that’s always comfortable. 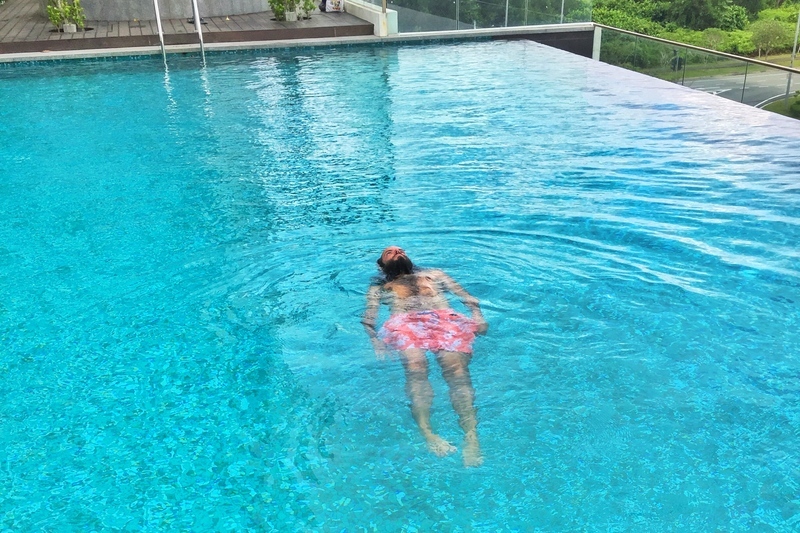 I initially went straight into the total immersion drills and found I was struggling with the ideas, especially floating. Floating has always been something that I struggled with. In Lake Toba I tried a little bit before reading the book but would retreat to the jetty after a few seconds of letting go. This is on a jetty in Lake Toba. Actually really nervous I’d end up in the water! Make your hips the first part of the body to move in each stroke, and watch your power. The longer you stay on your side in each stroke cycle, the farther and faster your body will travel. The fastest, most efficient swimmers in the world cut the water on their sides, rolling from one side to the other with each stroke and staying on each side for as much of each stroke cycle as they can; The advantage is simple to understand. You slip through the water more easily that way than on your stomach. The ‘pressing your buoy’ concept. I can float! This is essentially drill one of the total immersion learning strategy. What happens if you push a beach ball into the water? Right. The water pushes it right back out. You have one places on your body that’s buoyant like that – the space between your armpits. Call it your buoy…press the buoy into the water and the water will press back. But keep pressure on that buoy and you force the water to push your hips up instead. Just what you want. Simply letting water pressure ease them to the surface takes far less energy than trying to prop them up by churning away with your legs. These were a few of the gems. The hips were something I struggled with. My legs would sink and my hips would follow. When I tried pushing down on my newly discovered buoy, the feeling of my hips popping up was crazy, like I had a rope tied around my hips pulling me up to the heavens. Definitely better than feeling like they’re three foot under water. I soon found myself on Kapas Island, where I continued to practice the first couple of drills. My new struggle was actually moving forward. When I was floating I would be kicking yet I barely moved. I would slowly but surely spin around in a circle. It would be pretty funny to see from a drone now that I think about it. The breakthrough for me was in that my legs were not kicking properly. I’m guessing thanks to me growing up, I was kicking the rugby ball with bent legs. Not what you are supposed to do when swimming. It’s something I still haven’t mastered but I started spending time on the edge of the pool deliberately moving my legs from the hip which helped. It took a while, but I was then able to complete laps just kicking using just the first drill. Wooooo. In truth, I can do the first few drills from th book but didn’t push myself hard enough. Now I haven’t had a pool to practice in regularly. But as you can see above I can at least swim a little bit. That’s awesome for me. I really wish I moved through the drills a bit faster. The lack of diagrams. It seemed like there was a push to buy the DVD during the book. The descriptions for the drills are decent, but there are some spots in the book where the descriptions are confusing without a picture. My friend found this particularly frustrating the further she got into the drills. It wouldn’t take too much effort to add in more diagrams is all I’m saying. It’s wordy. This relates to the above. As I got deeper into the book I felt like it was getting way to repetitive, rehashing the same ideas in different ways. The different ways contradicted in a couple of spots I felt. Using more instructional lists would be better. 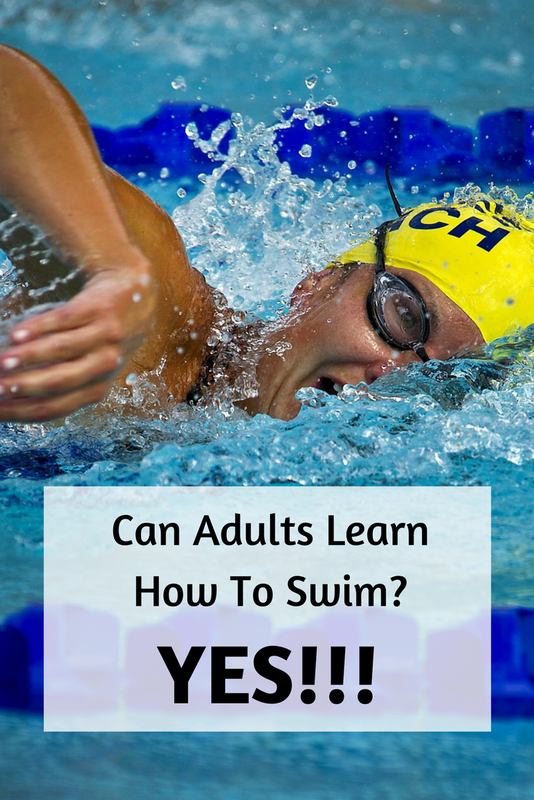 Should You Buy Total Immersion As An Adult Learning To Swim? That depends, it’s not like it’s a majorly expensive purchase for a life skill so there’s not a whole lot to lose except time (which is valuable). If one or more of the four points below fits you, definitely give the Total Immersion swimming technique a try. If you don’t have the money to buy a coach. If you’re embarrassed to tell others you can’t swim. You like a systems-based approach to learning. You’ve tried other routes and haven’t been able to get the hang of swimming. Let me know how you go with the technique! What Is The Biggest Benefit Of Total Immersion Technique? While swimming isn’t exactly a natural motion, we can use the principles in the book to get straight up more comfortable in the water (I can float for ages now) then worry about learning to swim. Now whenever a water based activity comes up around the world, I’m more confident in letting people know that I can swim but if something still scares me, I can simply say I’m not a strong swimmer, and that will prevent embarrassing follow up questions. If you need to start learning to swim. Pin this so you do not forget! Yup, totally practical. They start off with floating which is the fundamental of swimming. Once you start floating, all the other bits and pieces build on top of there.